When will you take out my drains and stitches? Never. That’s because I don’t use drains in cosmetic breast surgery, and your stitches are dissolvable. A surgical drain is a tube that’s inserted during surgery. It’s used to remove fluids or blood from a wound so that the tissues heal together better. I have never used drains and don’t recommend drains to my patients for elective cosmetic breast augmentation surgery. Breast augmentation: No tissue is removed, and there is minimal bleeding. Breast lift: Generally only skin is removed, and there are no spaces for fluid to collect. Breast augmentation with lift: In my experience, this simultaneous procedure also does not require drains for the above-mentioned reasons. Breast reduction: I commonly place a drain in the incision overnight. In reduction surgery, a significant amount of tissue is usually removed, which leaves a large surface area of tissue that could ooze before it starts to heal together. Because the drainage is minimal, the drain only needs to be placed short-term. A study conducted by two British surgeons who placed drains after breast augmentation surgery reported a 10 percent infection rate in their patients. They suggested that the drains, which could act as entry site for bacteria, possibly caused this high rate. 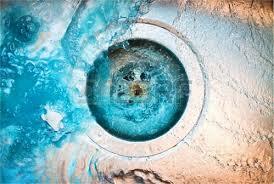 The bottom line: The advantages of using a drain have to outweigh the possible disadvantages. That’s likely the case in breast reconstruction surgery after a mastectomy, where drains are commonly used. Some surgeons close the incision with stitches on the outside, which are usually removed five to seven days after surgery. 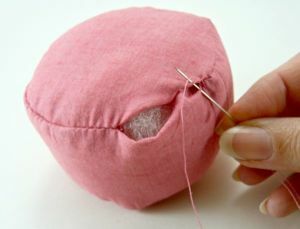 During surgery, instead of using external stitches, and after deeper closure of tissues, I put a single strand of dissolvable stitches just beneath the skin edge to make for the nicest closure. Then I place an adhesive strip over the incision. These stitches dissolve in about six weeks. Patients sometimes ask if the implants can fall out. The likelihood of the incision opening is extremely low: That’s because the deep tissue is brought together with multiple layers of thick, braided stitches that take about three months to dissolve. Even if the incision opened, the implant wouldn’t pop out. A thin, protective layer of tissue encases it as early as three weeks after surgery. Incisions stay a little red, lumpy and bumpy for six weeks. Around that time they form a solid healing ridge. From this point, it takes about six months for the firm ridge to start to soften (this is known as the incision maturing). It will take about a year for darker-skinned patients and up to two years for fairer-skinned patients to know their incision’s final color – which might be darker, lighter or the same as the surrounding skin.